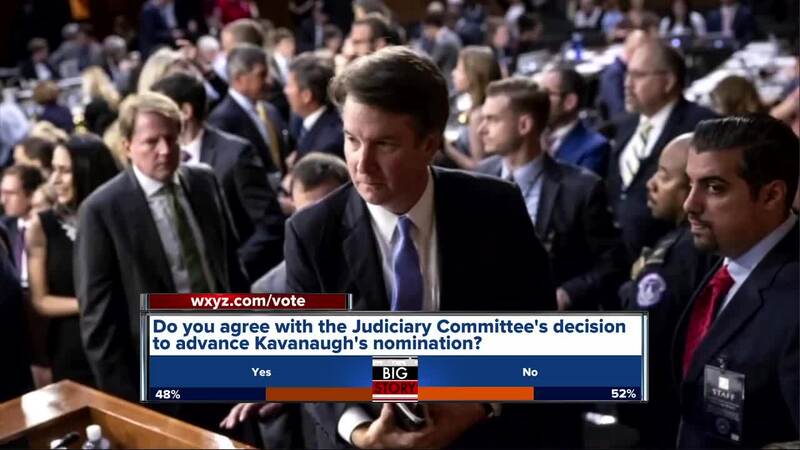 The decision on whether or not Brett Kavanaugh should become a U.S. Supreme Court Justice now goes to the full Senate. 7 Action News reached out to both of Michigan’s Senators to find out what they have to say. The issue is highly partisan, and both of Michigan’s Senators are Democrats. The decision on whether or not Brett Kavanaugh should become a U.S. Supreme Court Justice now goes to the full Senate. 7 Action News reached out to both of Michigan’s Senators to find out what they have to say. The issue is highly partisan, and both of Michigan’s Senators are Democrats. The big message they are sending out is they agree with Senator Jeff Flake (R-Arizona), who spoke before the committee vote calling for an FBI investigation. President Trump responded by approving an investigation. What could that investigation reveal? Christine Blasey Ford told her story to a Senate Committee Thursday, describing how Brett Kavanaugh allegedly sexually assaulted her. Then Kavanaugh insisted that he is 100 percent being wrongfully accused. 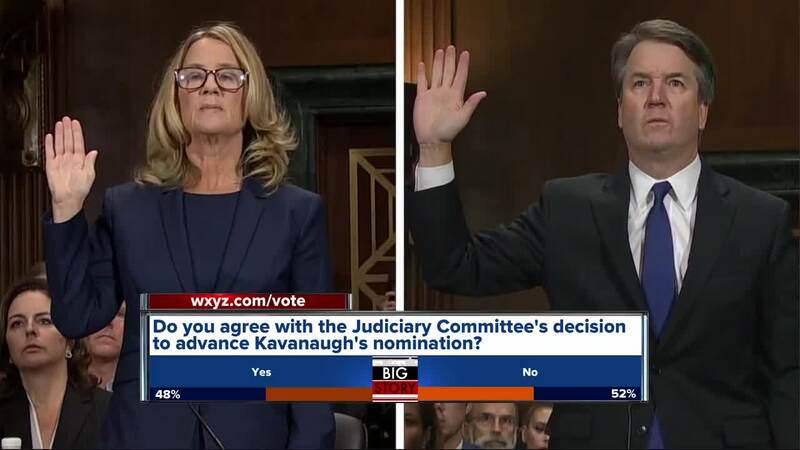 It was he said, she said, during the hearing. Senator Debbie Stabenow says with a proper investigation it may not be a case of he said, she said. “Dr. Ford indicated there were three people in the room when this happened. Not her best friend. His best friend and the fact that his best friend didn’t come forward to stand up for Brett Kavanaugh speaks very loudly,” said Sen. Stabenow. Senator Stabenow admits, even without these allegations, she does not support the nomination, which is now headed to the full Senate for consideration. “We need due process. That is why you have the third party FBI that investigates all parties,” said Sen. Stabenow.